Outstanding quality and craftsmanship together with contemporary British design – the XF is a car of distinctive beauty and dynamic luxury. Witness an exterior that is taut and athletic. Beautifully judged curves bring the assertive character of the XF to life. The confident, upright grille and deep power bulge on the hood reinforce its intent. Intuitive technologies inside the XF make every journey better connected and more enjoyable. From intelligent driving aids like our Head-Up Display with laser technology to the advanced InControl® Touch Pro™ infotainment system with pinch-to-zoom functionality7 — the XF features available innovative and seamlessly integrated technologies to enhance your driving experience. 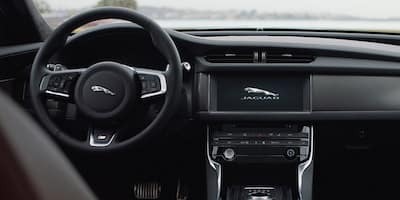 For more information about the 2019 Jaguar XF, contact Jaguar Little Rock at (833) 664-6125 to schedule a test drive. We also serve the Benton area, so come on down and let us show you what true customer service looks like!